Note: This Gift Voucher is only available for about 2-3 weeks before Christmas Day each year. 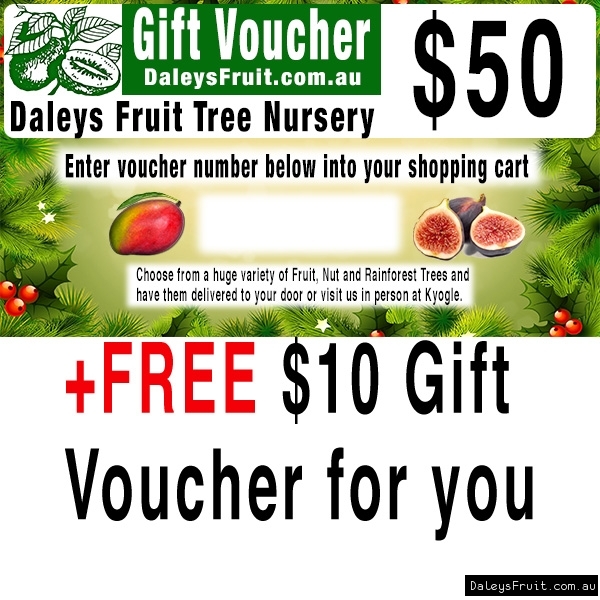 Buy a $50 Voucher to give away and get a $10 Voucher for you to use. When placing the order just enter your postcode and all your details at the checkout ( not your friends). Once completed both the vouchers will be sent to you. You can then forward on the $50 Voucher to your loved one or print it out and give it to them yourself. The $10 voucher ( sent as a separate email ) can be used any time by yourself.